The Intel Xeon W-3175X processor is a beast and it should be as this is the new flagship desktop workstation processor from Intel. At $2,999 for just the processor and availability only from System Integrators, this platform is really aimed at professionals that are running the most demanding workloads around. 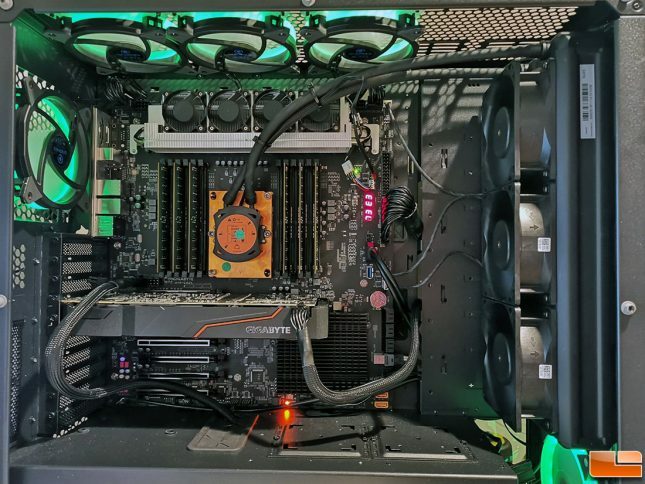 3D artists, game developers and filmmakers would be the ideal owners of a system like this and our video editing results showed the Intel Xeon W-3175X was much faster than AMD’s Threadripper 2990WX processor. This also happens to be a fully unlocked part and we were able to get it up to 4.6GHz on all cores with ease. 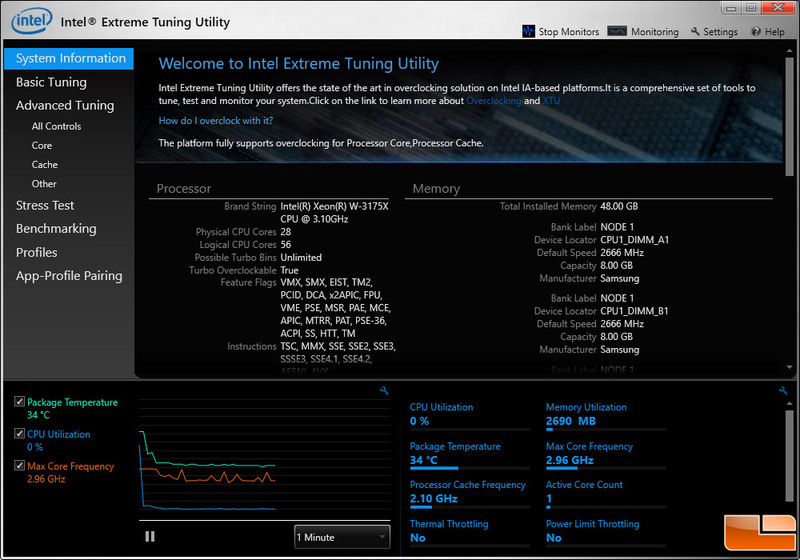 Intel Extreme Tuning Utility also supports the 3175X, so this Xeon processor is most certainly overclocking friendly! When it comes to pricing we know that the 3175X tray pricing is $2999, but the only SI with pricing information today was MAINGEAR and they say a workstation with this CPU starts at $14,899. The AMD Threadripper 2990WX processor is available on Amazon for $1705 shipped for DIY builders or you can to a system builder like MAINGEAR and it in a workstation with prices starting at $4,005. A $10,000 price difference is huge, but time is money and some businesses and users will happily pay that for double digit performance gains. Legit Bottom Line: The Intel Xeon W-3175X is a content creation beast and will make for a great workstation processor for those that need it!